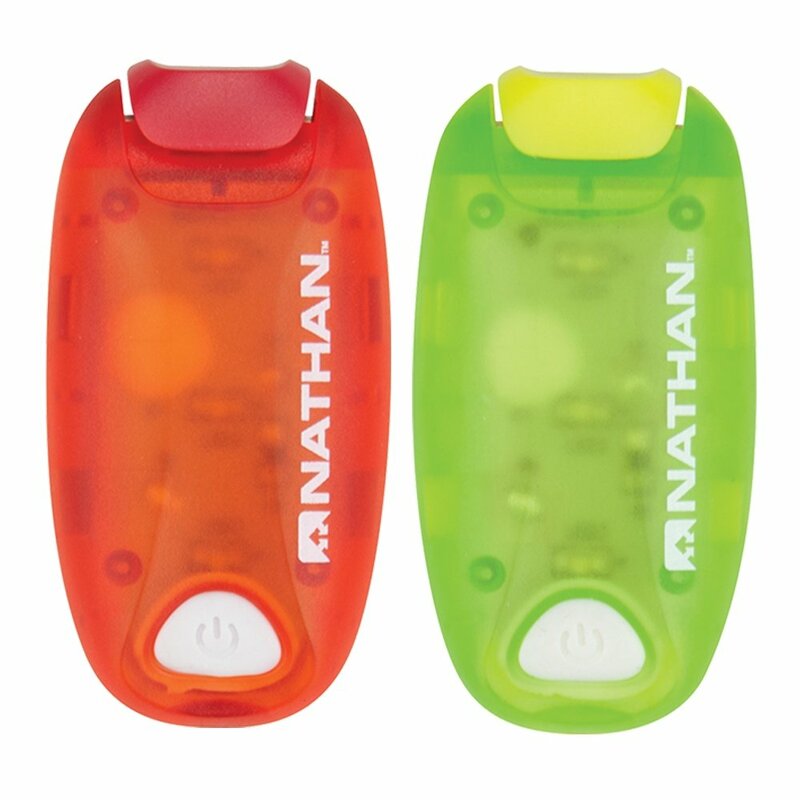 Running in low-light conditions is all about safety, and you can’t get safer than the Nathan StrobeLight Bundle. This bundle includes two StrobeLights so you can get creative with your lighting. Clip it to your hydration belt or on the back of your pack, and you’ll have complete coverage and improved visibility – essentials when you’re running at night or in the early morning hours. These battery-powered lights are strong enough for a 57-hour runtime and can even keep up in rough conditions with IPX3 weather resistance.